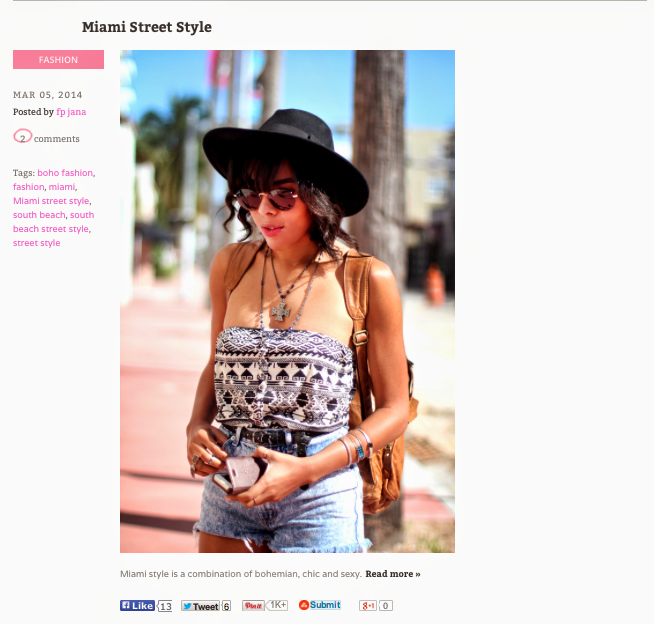 I was pretty psyched to spot myself on Free People's BLDG 25 blog covering street style in Miami! So this is what I was wearing! 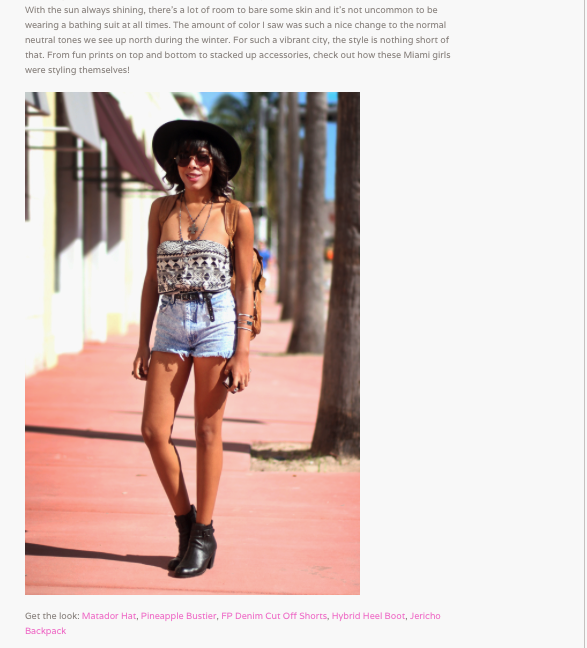 That top is vintage and so were the shorts, the hat is ASOS and the boots are Dolce Vita. Ofcourse they linked some similar FP items in the pink text under the images!